Jason S. Goldstein, Managing Director, Financial Strategies at Clear Path Financial. Jason helps business owners and individuals plan by offering solutions and strategies that can help reduce risk levels based on his client’s goals and needs. Jason is a Penn State alumni and graduated with a degree in Actuarial Science and a minor in Mathematics and Business. He has been in the financial services industry since 2002. After spending 8 years in the industry as a credentialed Actuary, Jason shifted from building products to selling and implementing plans as a Financial Advisor. In 2007 Jason received his Associate of the Society of Actuaries designation (ASA) from the Society of Actuaries and became a credentialed Member of the American Academy of Actuaries. In 2016, he received the Retirement Income Certified Professional designation (RICP®) from The American College. 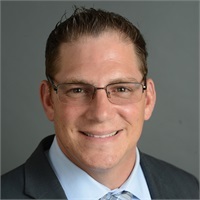 Jason is a current board member at the Society of Professional Women (SPW) and the National Association of Insurance and Financial Advisors of Greater Philadelphia (NAIFA). Born in Abington, Jason is a Pennsylvania native. He currently lives in Ambler, Pennsylvania with his wife Ashley, daughter Jade, and daughter Ariella! Jason enjoys spending time with family, golfing and watching the Phillies and Eagles.